This book, this life, grew out of your love. You helped me get free. Please leave a review below. I’ve always been free. I’ve always known. This is a remembering. 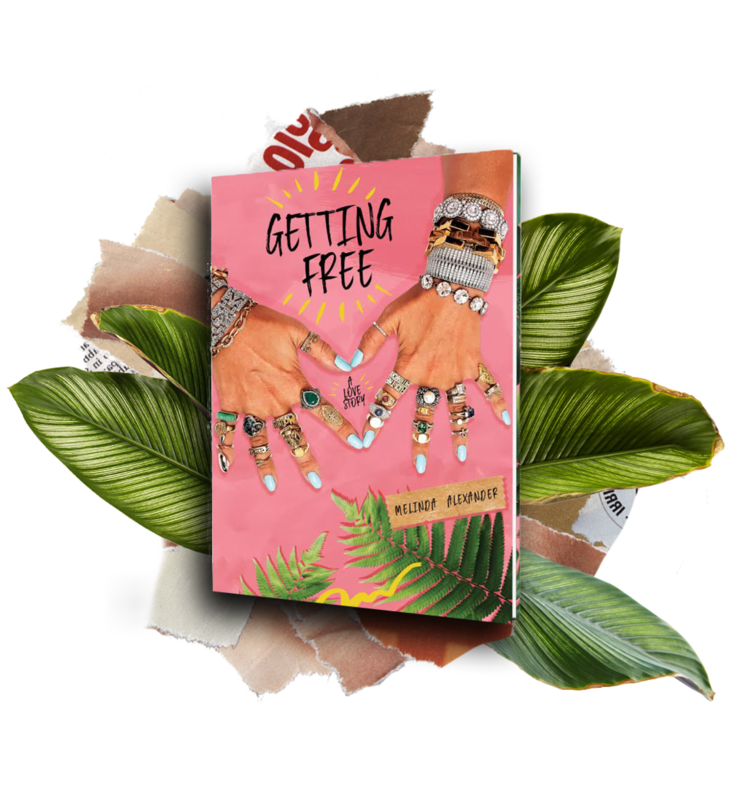 Part art book paying homage to my love of jewelry, fashion, and fabric, part journal chronicling the years I’ve spent on Instagram sharing my getting free story. I speak on divorce, abuse, starting over, body image, motherhood, self exploration, growth, anti-racism, magic, and my return to love. Open to a page and see what speaks to you. Though this book is largely a gift to the women who reminded me my voice was worth using, it also meant to be gifted to those you know who are on similar journeys, and need a reminder they will be okay, more than okay. Take advantage of the discount rate and get one for you, and one for your girl who needs to get free. Once you receive shipping notification, please allow 2-10 days for media mail delivery. All items are non-refundable and you are responsible for re-shipping costs if books are returned to sender. Please double check your address! TOUR IS OVER! What a wonderful Run!!!! Need to contact me? You can do so here.